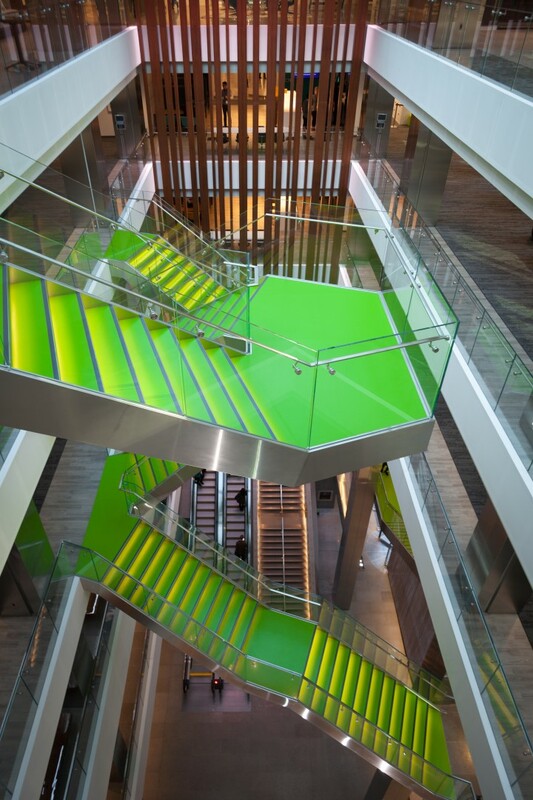 WHEN DELOITTE BROUGHT OVER 4,000 EMPLOYEES TOGETHER FROM ACROSS THE GREATER TORONTO AREA, THE NEW OFFICES WEREN'T JUST PRACTICAL - THEY WERE ACTUALLY DESIGNED FOR COLLABORATION. The headquarters for one of Canada’s leading professional services firms is now at the new Bay Adelaide Centre East Tower in downtown Toronto. 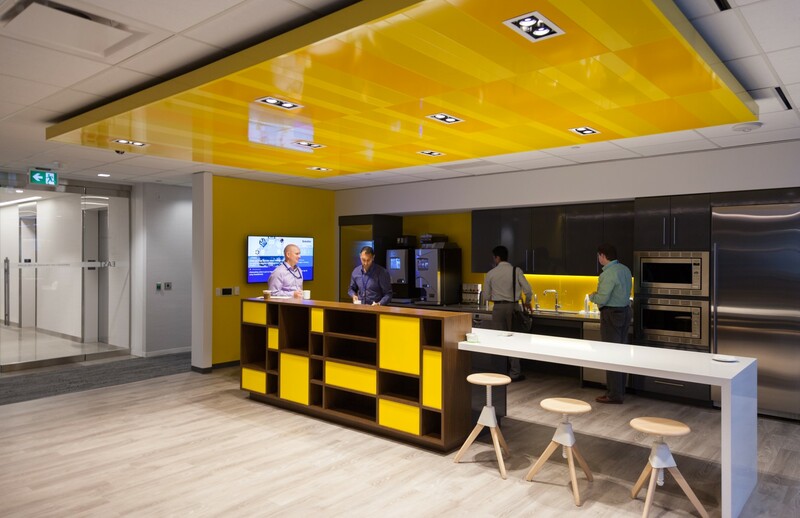 Occupying 19 floors in the newly constructed tower, Deloitte’s offices are a departure from the tradition of cubicles and private offices towards modern, collaborative working and meeting spaces. 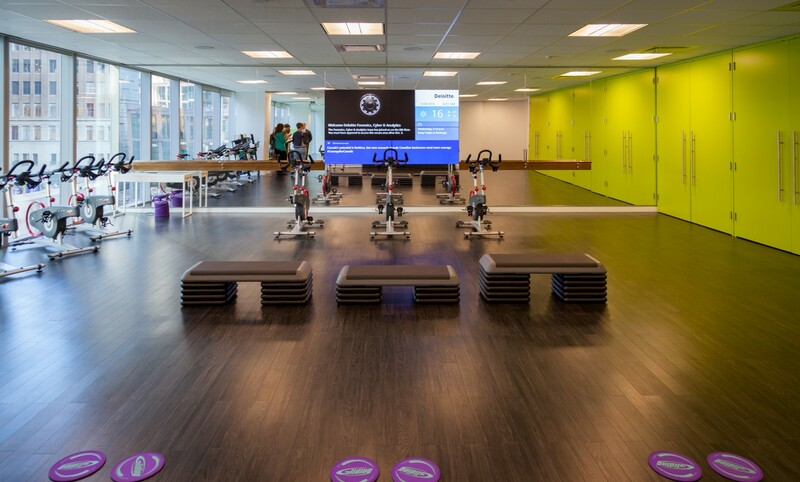 The office includes a spin studio, an expansive atrium, lunch spaces, and notable Canadian artworks among many other amenities. 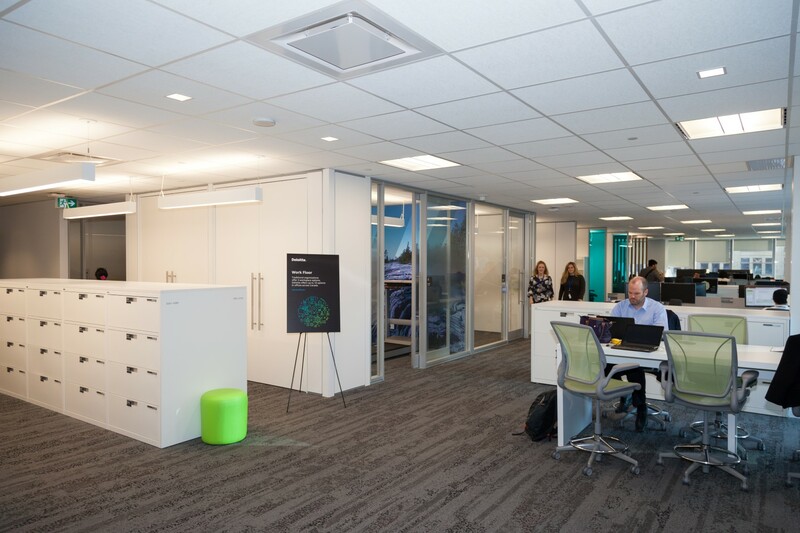 The new space is all part of Deloitte’s national redesign strategy to encourage collaboration with 65% of the building dedicated to communal work space. 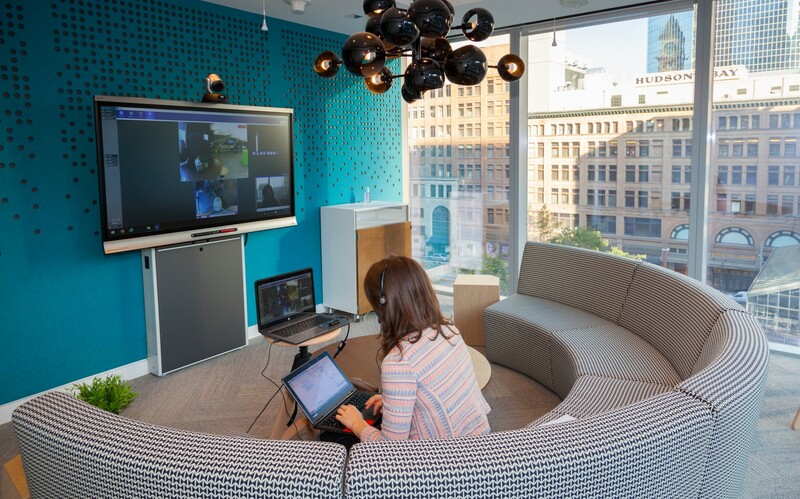 Deloitte is using design and technology to remove physical barriers and provide a more collaborative and productive workplace. 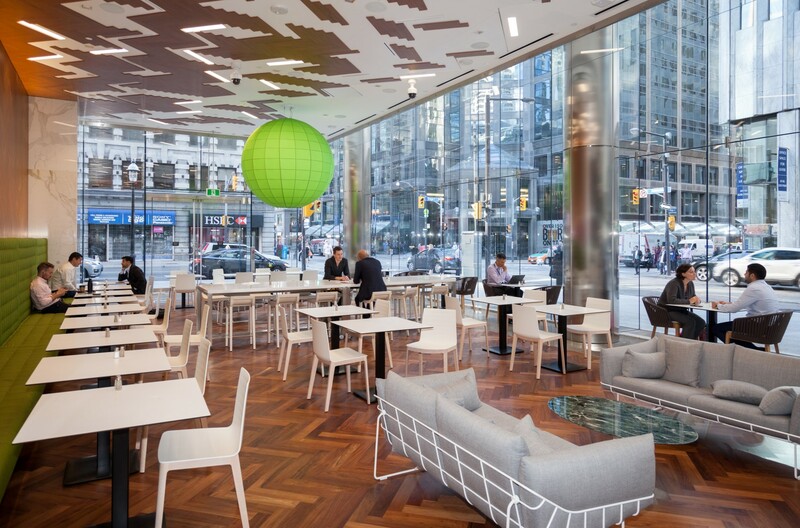 Their strategy provides increased flexibility and choice around how people work, encouraging social interaction and collaboration to inspire greater innovation for both Deloitte employees and clients. The building provides 18 different types of workspaces so that employees can match their work environment to the task at hand. 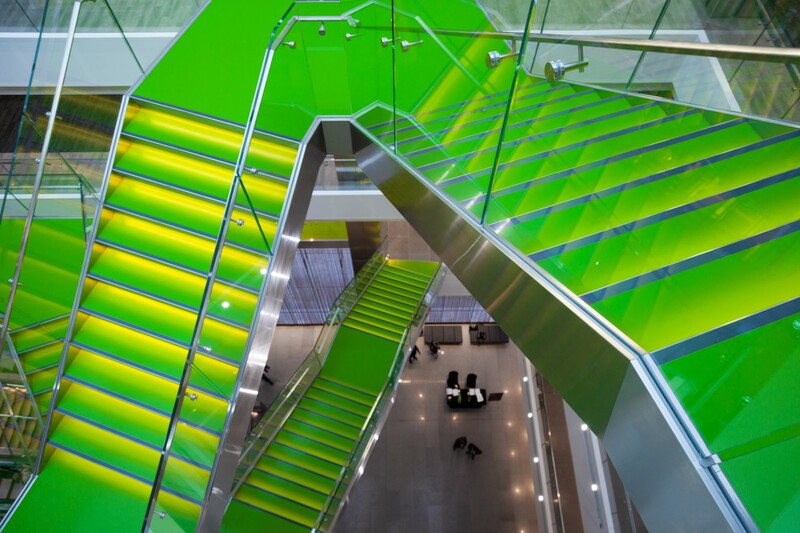 One of the most notable features of the space is the six-floor open staircase that appears to ‘float’ within the atrium. 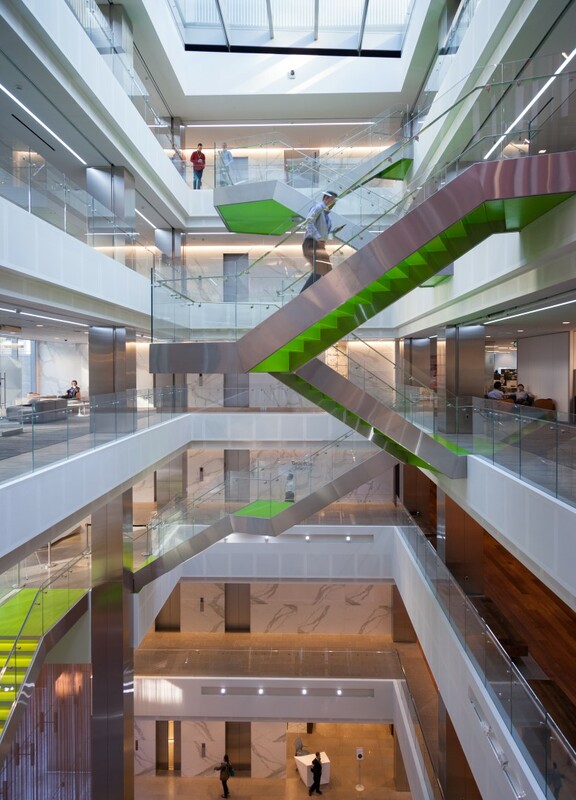 The staircase serves as a visual reminder that the firm encourages social interaction and collaboration, rather than hierarchy and tenure. Challenge: The design introduced a staircase that would crisscross an internal atrium space that spans the podium structure from Ground Level to Level 6. The stairs go from floor-to-floor and are cantilevered off of the atrium slab edges. Solution: Entuitive’s early collaboration with the client, architect and steel fabricator in the pre-design phase of the project enabled establishing careful coordination of the complicated stair details. Our solution resolved connection forces entirely within the slab and truss system in order to minimize the connection sizes and ensure the architectural intent was maintained.